With branches along the coast of New South Wales and sister-groups around the country, ASRs strategic objective is to reduce the human impact on wildlife through rescue, research and education. 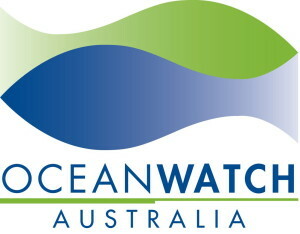 OceanWatch Australia Ltd is a national not-for-profit environmental company that works to advance sustainability in the Australian seafood industry. OceanWatch key activities involve enhancing fish habitats and improving water quality in estuaries and coastal environments; working with industry and local communities to minimise environmental impacts and introducing industry and communities to sustainable technologies and behaviours. The Western Australian Marine Science Institution (WAMSI) is a leading Australian marine research organisation that is a collaboration of State, Federal, industry and academic entities cooperating to create benchmark research and independent, quality scientific information. WAMSI carries out research into climate change, biodiversity, the iconic Ningaloo Marine Park, sustainable fisheries, biotechnology and oceanography. From 1 May 2015 new modified whale entanglement mitigation measures were put in place for the West Coast Rock Lobster Managed Fishery. These measures are designed to reduce the risk of whale entanglements in the fishery during the whale migration season. The world’s leading conservation organisation, WWF works in 100 countries and is supported by close to 5 million globally. WWF’s unique way of working combines global reach with a foundation in science and involves action at every level from local to global.